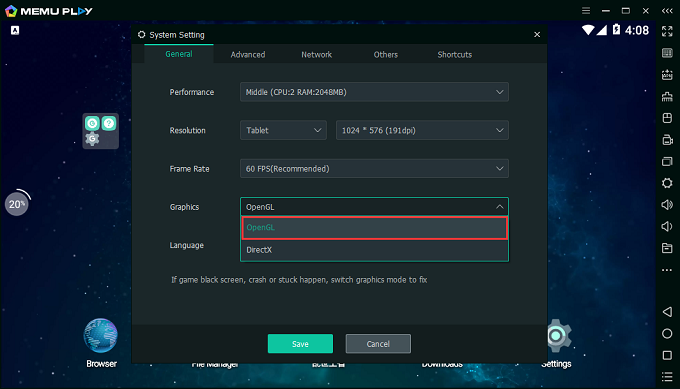 In MEmu 5.1, OpenGL Graphic mode is enhanced to support OpenGL ES3.1. 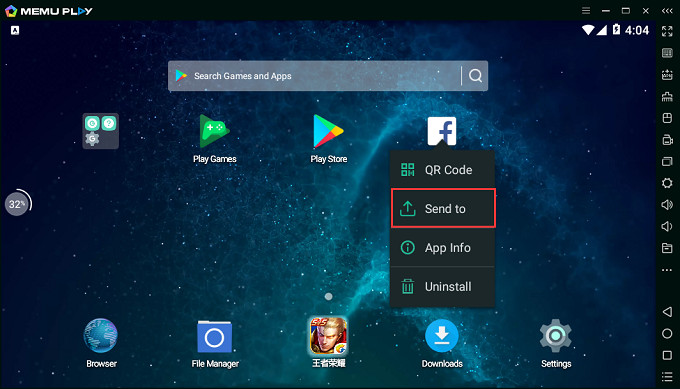 With this feature, most of new games are able to run as high-quality graphic mode, like PUBG mobile, Rules of Survival, Black Desert, etc. In addition, suggest you switch the OpenGL and DirectX mode if you have issue to run a certain app/game. 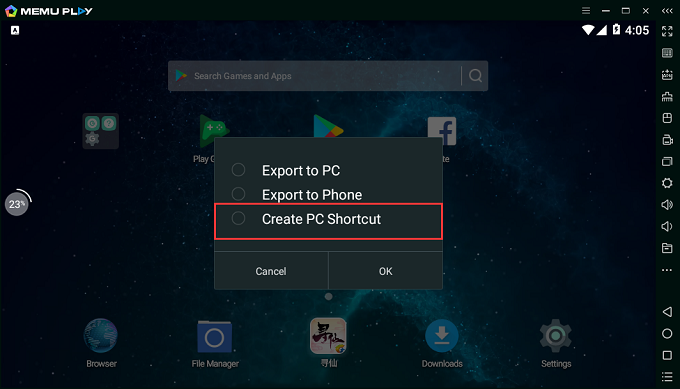 In MEmu 5.1, you are able to create shortcut on Windows desktop for any Android app, which means directly run Android app by clicking Windows shortcut. 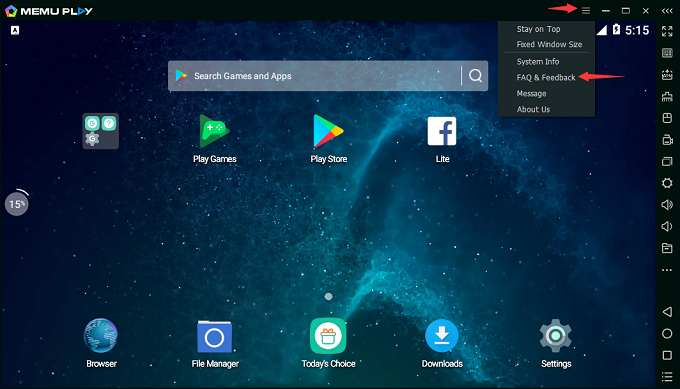 Firstly click the Android icon and select Send to, then click Create PC Shortcut, you will get a Windows Shortcut on desktop. 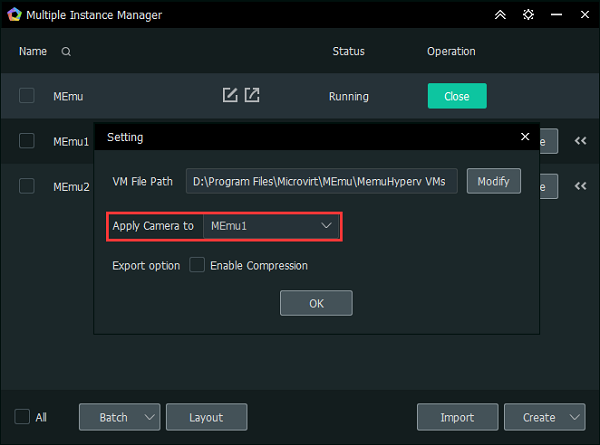 In MEmu 5.1, Camera is allowed to apply to any VM. You can set it in Multi-MEmu Setting page. 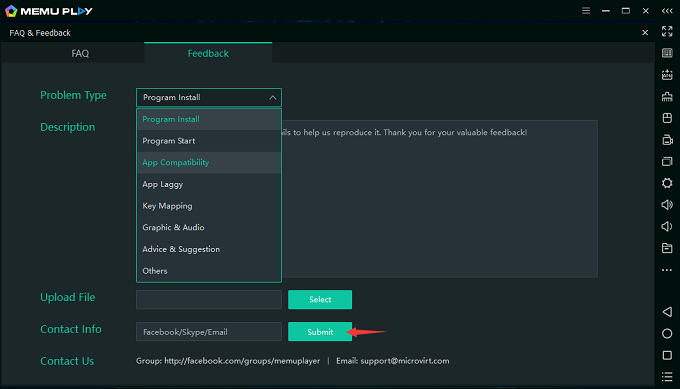 In addition, FAQ & Feedback is enhanced a lot. You can open the dialogue by click the top right button. We encourage you to submit any issue by providing detailed information, highly suggest to upload screenshot/system info/log file.